Greetings from sunny Florida! I took a long weekend to spend some time with my family here in Sarasota ... Lido Key, to be exact. The house is amazing, the weather is beautiful ... and I'm not at work. What could be better? Flying home tomorrow, though ... and then it's back to reality on Wednesday. In the meantime, I thought I'd take this opportunity to catch up on showing some blocks that I've worked on recently. The first 2 are for Kim (aka quiltinkimmie) for her Buzz Cuts group. She sent out various black & white prints with one containing red to tie all of the blocks together. I had been admiring a Fun Quilts-designed quilt called "Balancing Act" from one of the most recent issues of American Patchwork & Quilting magazine and decided that Kimmie's quilt could use some triangles. I made 6 blocks, added some scraps to the four corners, and then squared them up a bit askew to give the block some interest. I love the way this one came out! I had inadvertently cut out waaaaay too many of the center triangles and, since I had enough leftover fabrics, decided to make Kim a second block. I went improv on this one, and I think this blocks pretty cool, too. One of the other group members commented in Flickr that it reminded her of a book. I surely didn't have that in mind when creating the block, but love hearing how it could be interpreted in many different ways. In the SewConnected 3 group, sew~amy also sent out black, white & red fabrics; however, ants are the theme for this quilt, as Amy wants it to be a picnic blanket for her family to use this summer. She sent each member a cute embroidered ant to feature in our blocks, so I of course wanted the little guy to be front & center when I made my block. I went improv on this one too, creating it without a pattern or too much of a plan in mind when I started piecing it together. I added some of my favorite Tula Pink ladybugs, thinking they could keep the ants company! These last blocks were all created for fellow members of the bee inspired group. Meredith sent out mostly solid fabrics using this as a wonderful inspiration quilt. She wanted straight-up square-in-square blocks, letting the colors rather than the pattern give this quilt its personality. We were free to make the blocks any sizes we wanted, as long as they fit together to make a 12" block. I made one and a half blocks, with the grey-bordered square on the right being the beginning of another block ... I just didn't have enough fabric to finish it out. This is going to be a great quilt. You should check out Meredith's photostream to see some of her in-progress photos -- it already looks amazing with just a few blocks put together so far! Finally, Dy requested that we make house blocks with the bright and vibrant rainbow of batiks that she sent out. She requested that we all make the same pattern, which is somewhat unusual for these bees but also a welcome change. I've been wanting to make a house block for a while now but never had the opportunity. We were free to customize the color placements for the different elements of the house. I think her quilt is going to be colorful, happy, and fun. all are wonderful...nice work. and I hope you enjoy the last hours of your vacation! Looking good John, Enjoy the last day of your holiday! Your blocks are great! Enjoy the last day of vacation! I love to visit your blog. Maybe one day I will be able to quilt like you. How did you learn? How did you get interested? 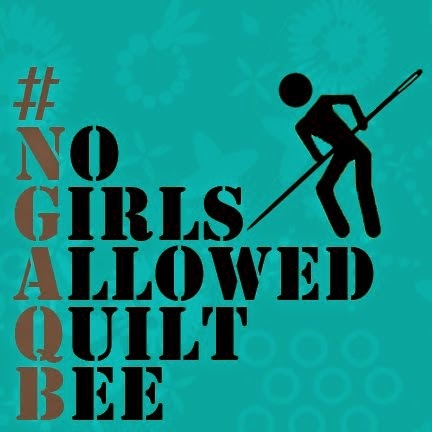 please enter above link in your browser to see about 800 quilts from New Zealand exhibitions. 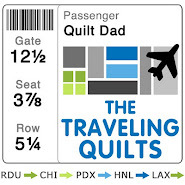 My wife is a quilter i am a Computer person. I am really amazed to the work that you do, and all those swaps... How do you find the time with a young family, n work n all.... I have really enjoyed visiting your blog, what inspiration! Thanks again for my blocks, John. I LOVE them! I love my block , thank you so much.